It's mid-August and here in Western Australia the wildflowers are slowly starting to bloom – a sure sign that spring is on its way. 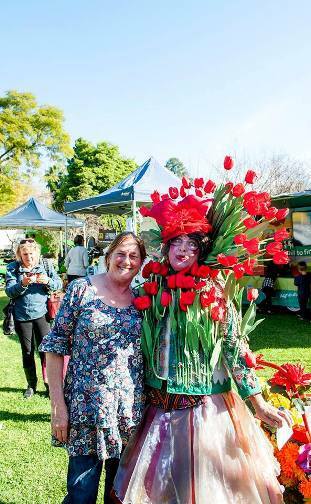 Welcoming in the warmer weather, and celebrating beautiful flowers and gardens, the Nannup Flower and Garden Festival in our state's picturesque south-west is a vibrant community event that will appeal to visitors of all ages. 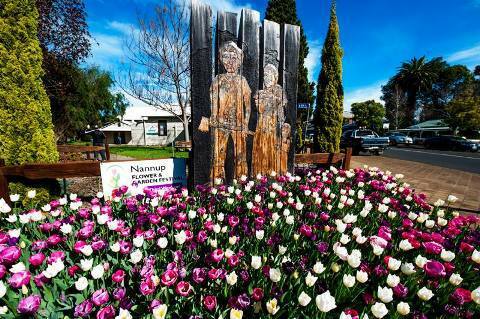 For those who have never been there, Nannup is a quaint little hamlet situated in the Blackwood Valley, well known for its beautiful scenery, lovely gardens and the numerous artists and crafters who reside there. 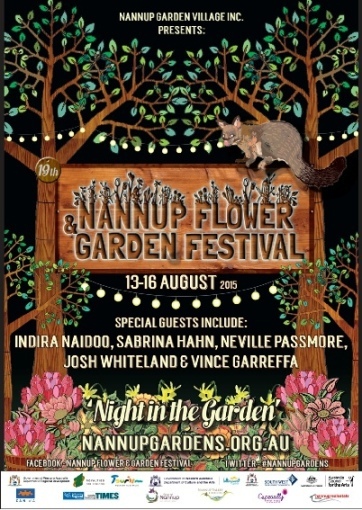 Taking place from Thursday August 13th until Sunday August 16th, the Nannup Flower and Garden Festival is offering a jam-packed program of fun things for visitors to see and do – most which, as the event's name indicates, relate to gardens and gardening. If you're a gardening enthusiast this festival is definitely not to be missed. However, even if you only have a casual interest, you're still certain to enjoy yourself amidst the country hospitality and the numerous other things to see and do that it encompasses. Every year the festival adopts a specific theme and this year it's 'Night in the Garden'. 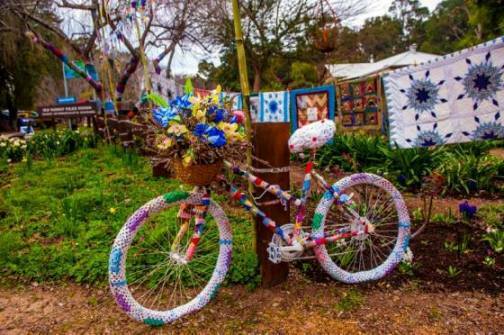 The Nannup Town Hall will be transformed into a Great Hall of Flowers, with props and imagery creating a quirky and mystical ambiance that's sure to ignite your imagination. Elaborating on the theme, Nannup Arts Society will also be holding an exhibition with the same name at the Garage Gallery. With so many talented creative people living locally, this should be really special. 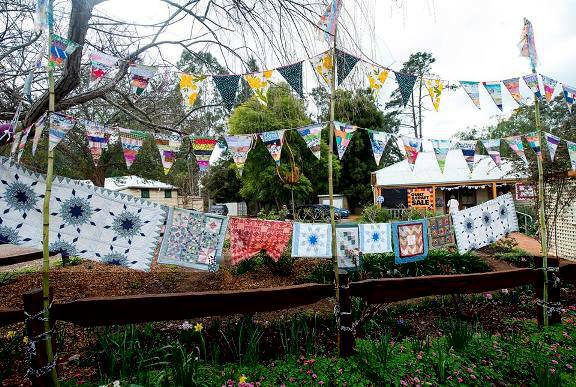 Other exhibitions in town during the festival will be a quilt and craft exhibition at Nannup Community House, an exhibition by Nannup Historical Society at the Town Hall, and a vintage car show out on Brockman Street. If you enjoy gardening and want to learn from the experts how to transform your little patch into a fertile paradise, the festival's popular open garden program is something you'll definitely want to check out with over ten local gardens participating. There will also be special celebrity guests including Sabrina Hahn, Indira Naidoo, Vince Garreffa, Neville and Lisa Passmore, Josh Whiteland, Tim Whitty and Linda Stanley, who will be ready and willing to share their expertise in a great selection of workshops and presentations. With so much to see and do all over town, our legs can get a bit tired, and therefore the festival's organisers have thoughtfully organised a Garden Marquee where visitors can rest, enjoy some entertainment and simply soak up the atmosphere. Entertainers performing at the marquee include celebrity guest Indira Naidoo presenting her new book 'Edible City', comedienne Mary Myfanwy, folk performer Roy Faithfield and various local music groups. Presentations relating to gardening and the great outdoors will also take place at the marquee, including environmentally responsible pest management, gardening your way to health and all about honey. Other highlights include 'The Concept of a Food Forest' by Dr Bob Longmore, Bee Winfield's 'Teaming with microbes for magical earth', and a presentation on hemp and its many uses by Glen Orley from Barrabup Sanctuary. If you're visiting the festival specifically to enrich your knowledge of gardening, you might also want to wander over to the Nannup Bowling Club which will be holding a series of 'Paddock to Plate' presentations such as Linda Stanley's 'A Nutty Affair' (all about chestnuts and how to use them), the Urban Tucker Woman's 'From Food Waste to Taste', Josh Whiteland's 'Foraging with the seasons', and Andy Longmore's 'Chilies – Hot and Spicey' all about the art of using chillies in your cooking. While some of the presentations are free of charge, others incur an entry fee so it's best to consult the festival's website to learn more. This festival is all about family and community, and there is plenty to keep youngsters happy and entertained here, over the four days of the festival. Roving entertainers such as 'Twolips' and Lara the stilt-walker will put a smile on their faces and provide some great photo opportunities, while Joe's shed, next to the Garage Gallery, will be a kids' creative paradise with Li'l Green Fingers Crafts and Lego fun, and even arty activities for the young-at-heart such as lantern-making on the Saturday. 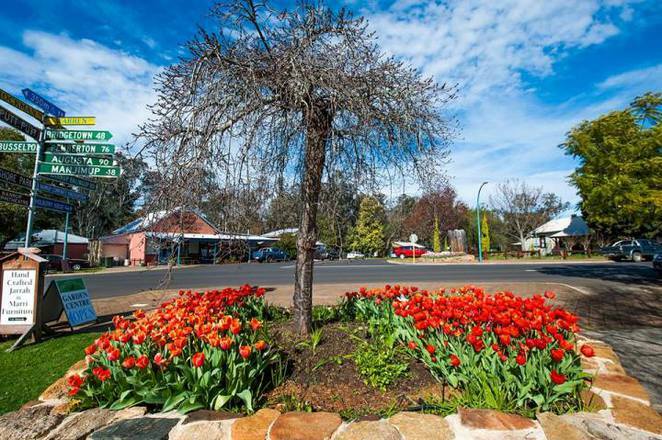 Coming up this weekend, the Nannup Flower and Garden Festival is a great excuse for everyone to escape the city for a day or two and connect with nature in one of the south-west's prettiest villages. Whether you're a gardening pro or just a wannabe, the festival has loads of fun and informative stuff for people of all ages. Although my article only mentions a small amount of the cool things to see and do that the festival incorporates, a visit to its website will tell you everything that you could possibly want to know.